Public joint-stock company Ukrainska Zaliznytsia will start operating on December 1, 2015, Director for Reformation, Asset and Law Policy at the State Railway Administration of Ukraine (Ukrzaliznytsia) Yevhen Kravtsov has said. He said at a press conference in Kyiv on October 23 that by October 20, 2015 it was planned to open the accounts of the company in banks and by November 2 – to send documents to the National Commission for Securities and the Stock Market of Ukraine to register the issue of shares. In November it is planned to prepare for the start of economic operations in December, accept assets, and transfer employees. Kravtsov said that the company is being created in several stages. In 2016, it will work as a single company, undergo a transition period, separate functional verticals with heads, concentrate powers in the center, gradually transfer the management functions of railways to the central staff, and retain the normal operation of the railways. The second phase is 2016-2020: the switch to the holding management, centralization of cargo, passenger transportation, infrastructure and industrial companies management functions in functional branches, gradual deregulation of railways to regional infrastructure management centers, and the creation of financial, staff and technical services in each functional branch for the further reorganization into separate companies. Kravtsov said that Ukrainska Zaliznytsia was registered on October 21. At present, 21 branches of the company were submitted to the state register of companies and individual businessmen. Among the branches are Lviv Railways, Pivdenna Railways, Odesa Railways, Pivdenno-Zakhidna Railways, Prydniprovska Railways, Darnytsia wagon repair plant, Paniutynsky wagon repair plant, Ukrainian transport service center Liski, Wagon refrigerator company, Vinnytsiatransprylad, Industry Management Center, Starokostiantynivsky Concrete Tie Plant, Main Information-Computer Center, Central Communications Station, United Railway Transportation Payments Center, Research and Design Institute of Railway Transport, Design Tand echnological Bureau of Information Technologies, Production Provision Center, Mahistral media center, Professional Staff Training Center and Healthcare center. Kravtsov said that in general, around 30 branches will operate. Next week it is planned to send documents to register five more branches. 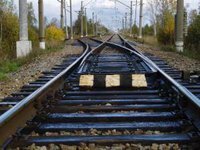 Ukrainska Zaliznytsia, 100% of the shares of which will be in state ownership without the right to sell them, will be created on the basis of Ukrzaliznytsia and over 50 railway enterprises which are to be reorganized through mergers. The list of companies on which Ukrainska Zaliznytsia will be created includes six railroads, wagon repair plants, railway state-owned enterprises, research and design institutes of railway transport, and a number of design and design-engineering bureaus.